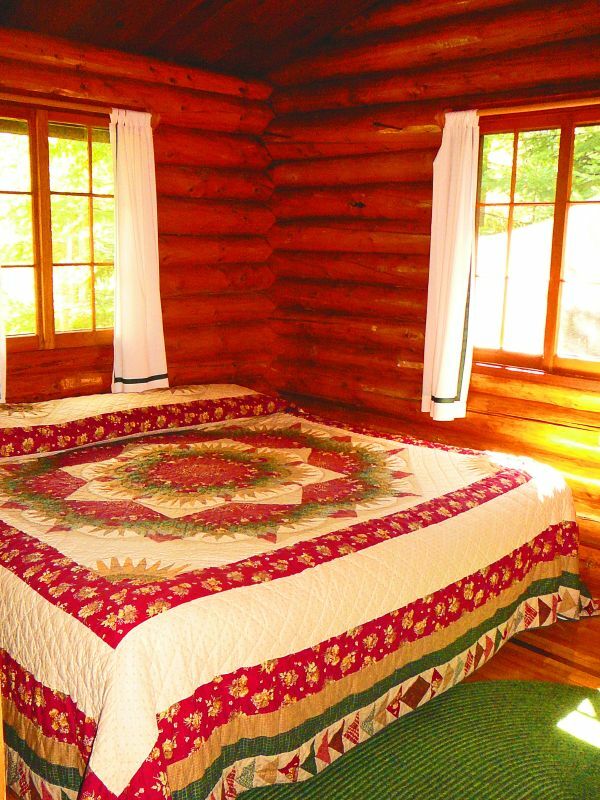 Intimate, solid log, historic two bedroom cabin features a skylight kitchen and hardwood floors with braided rugs. One bedroom has a double bed, the other a king-sized bed. Living room features a cozy woodstove; of course, we supply all the wood you need to enjoy a fire every night. Small front deck overlooks the lake just 50 feet away. A romantic honeymoon and “couple’s getaway” favorite. Rates based on double occupancy all year. Capacity: 4 people. 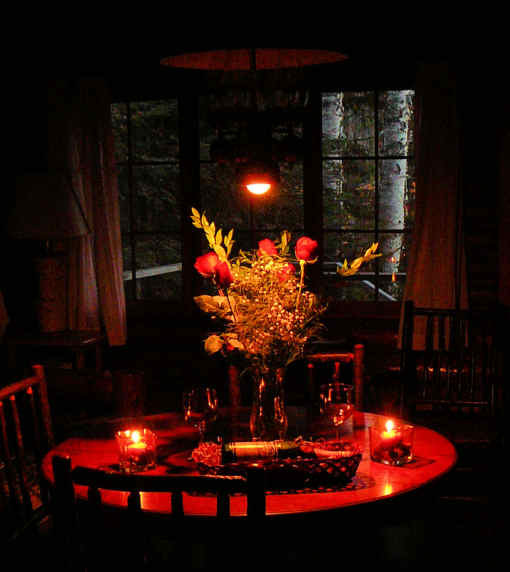 Includes: private dock, BBQ grill, sand beach & play area, playak watercraft for kids, private sauna time, private hot tub time, good fishing, close to BWCA, summer nature programs, winter ski passes for all registered guests, and snowshoe trail access. A free canoe is offered with all "Value Season" accommodations; canoes and boats are rental items during "Mid-Season" and "Peak Summer Season." You won't find video games, televisions or telephones in any of our accommodations. Our cabins do not have internet service. (Guests tell us over and over that they prefer it that way.) We do have free satellite internet for guests in the Main Lodge. You won't find mall shopping or large grocery stores nearby, although our gift shop may offer just what you need. City services are 26 miles away, in Grand Marais. Summer rate info: All summer rates are based on double occupancy (2 people) per night or weekly; or on 4 people for Lodges #1, 2, 3 and 4. There are additional "per person" charges for more than 2 people in cabins, or more than 4 people in lodges. One week minimum stay starting June 19 through August 21, except for Cabin 8 and Lodge 4. Shorter stays will be taken during those times if we receive late cancellations. A $500 advance deposit is required with reservations. Sorry, no refunds within 60 days of arrival. A $30 cancellation fee will be applied to any cancellation. Winter "Holiday Season" rate info: "Holiday Season" winter rates are based on double occupancy (2 people) per night or weekly, or on 4 people for Lodges #1, 2, 3 and 4. There are additional "per person" charges for more than 2 people in cabins, or more than 4 people in lodges. See rate charts below for applicable holiday season dates. 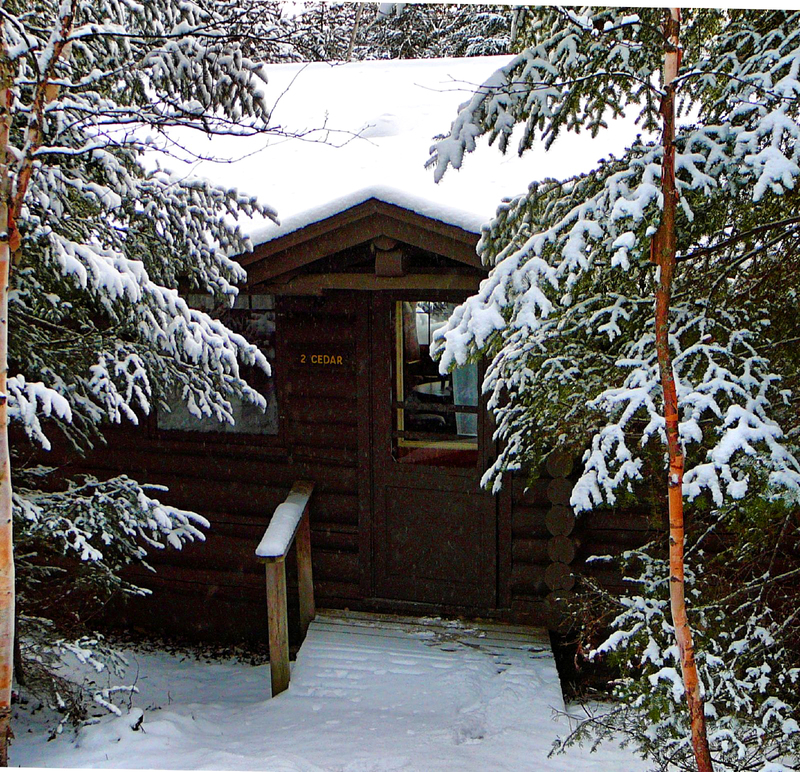 Winter rates info: Winter rates for dates other than "Holiday Season" are based on double occupancy (2 people) in Cabins 1, 2, 5, 7 and 8; and on 4 people in Cabins 3, 6, 9, 10 and 11, and Lodges 1, 2, 3, 4. There are additional "per person" charges. See rate charts below to determine which dates are "Winter Season" and which dates are "Holiday Season." Additional adults are $35/night; additional children (ages 4-15) are $30/night. Children under the age of 4 stay free. Dishes, utensils, towels, sheets, pillows and bedding are furnished. State and local taxes are extra. Rates are subject to change. Unlike many comparable resorts, Bearskin Lodge does not add a "service charge," "activities fee," or "resort charge" on your lodging bill. Bearskin Lodge does not discriminate on the basis of race, color, national origins, gender, age, or disability. CHECK IN TIME IS 4:00 P.M.